All "owned" listings must be verified by either postal address, telephone or email. This confirms to Google that you are the owner of the business. A code is generated and must be entered in the listing to make it officially verified. Until the listing is verified, limited information is displayed in Search and Maps. Post Office Boxes are not accepted as postal addresses. To get started, search for your business name and look for the "Own this business?" tag. If there is a listing with this, your listing is a Google-generated listing and is available to be claimed by the rightful business owner. If not, and additional information such as phone numbers or business hours is displayed, then somebody has already claimed or registered the listing. A Google My Business listing means your organisation can be found when people search Google via Search or Maps. Owning your listing enables control over what Google actually displays, such as the map location, hours of business, photos, etc. Additionally, it allows you to respond to any Reviews. New features will be added in the future. If you don't have a listing, it may mean Google doesn't know you exist! 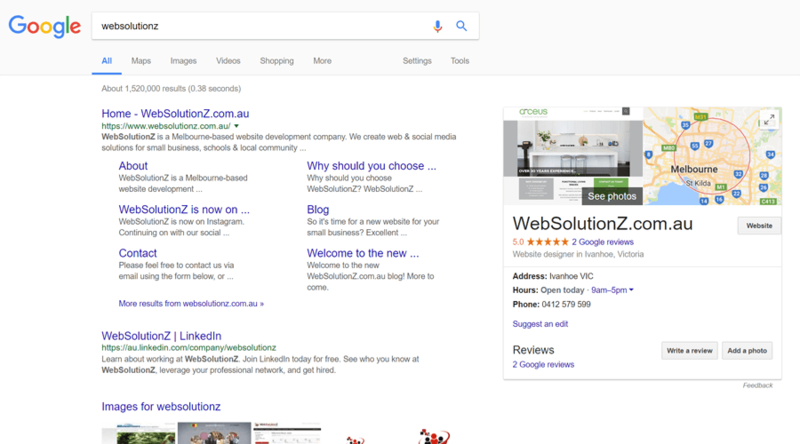 Having a Google My Business listing is a ranking factor for Search Engine Optimisation (SEO). It isn't a replacement for SEO, more like an introduction to it. In other words, having a listing is better than not having one. The Google My Business dashboard also displays basic Insights - how customers search for your business, where they find it and what they do afterwards. This dashboard can be linked to Google Analytics for more detailed analysis. It also links in Google Reviews which, again, can help your SEO ranking. 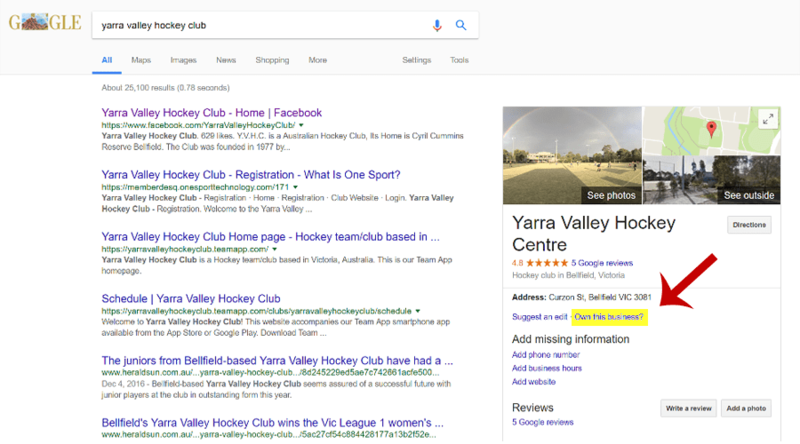 A Google My Business listing isn't a set-and-forget thing - you should keep business hours and public holidays updated, add new photos and keep an eye on any Reviews. If WebSolutionZ manage your listing then we help with these things. Note: If you previously had a Google Places listing, it will have been automatically upgraded to a Google My Business listing.